One of the notable omissions from the blog has been Burnley in Lancashire, especially as it’s only 30 miles from Manchester. To be honest, I’d been putting this one off as I knew Burnley was a deprived northern town and it can be depressing to visit a place like that. However, it was the first proper blue sky day of the year and I thought it was time to bite the bullet and visit Burnley. 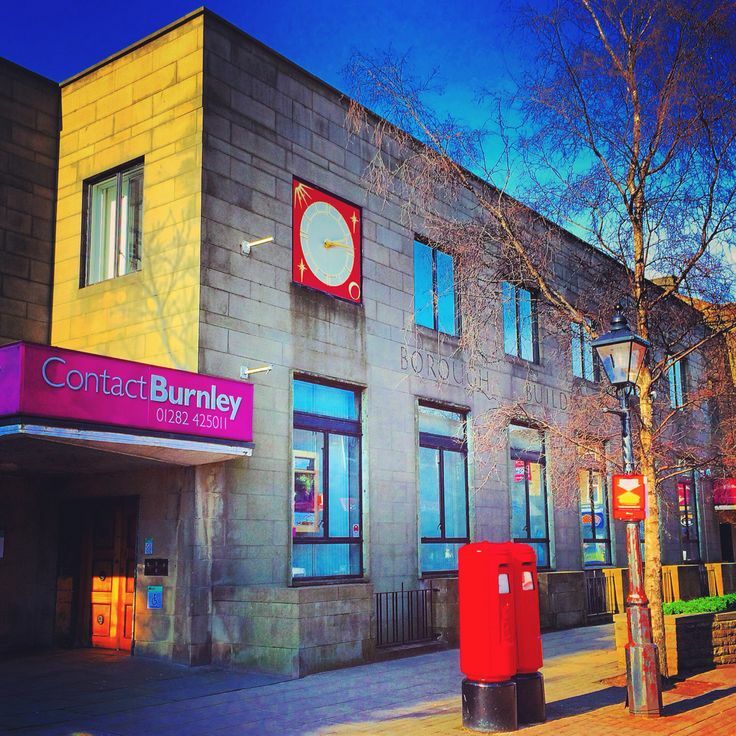 Getting to Burnley from Manchester is easy enough – M60, M66, A56, M65, exit junction 10 and head into town on the A671. It takes about 40 minutes and parking on a weekend is relatively straightforward. We found a pay-and-display in one of the Council carparks. Burnley is very much a Victorian mill town with plenty of buildings from that era. It’s really worth looking up above the fast food shop signs to see the architecture of the buildings. They have some class and style, but are in need of some TLC. It would be interesting to see pictures of them when they were new, with far classier signage. 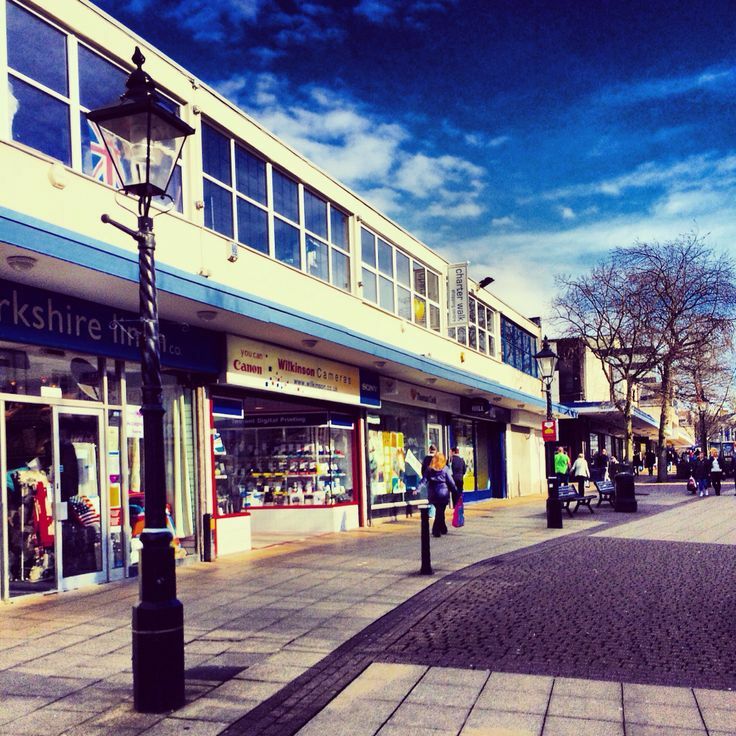 The centre of Burnley is pedestrianised with a large 1960s precinct dominating the centre. The sun had brought people out and there were plenty of them pottering around the town. 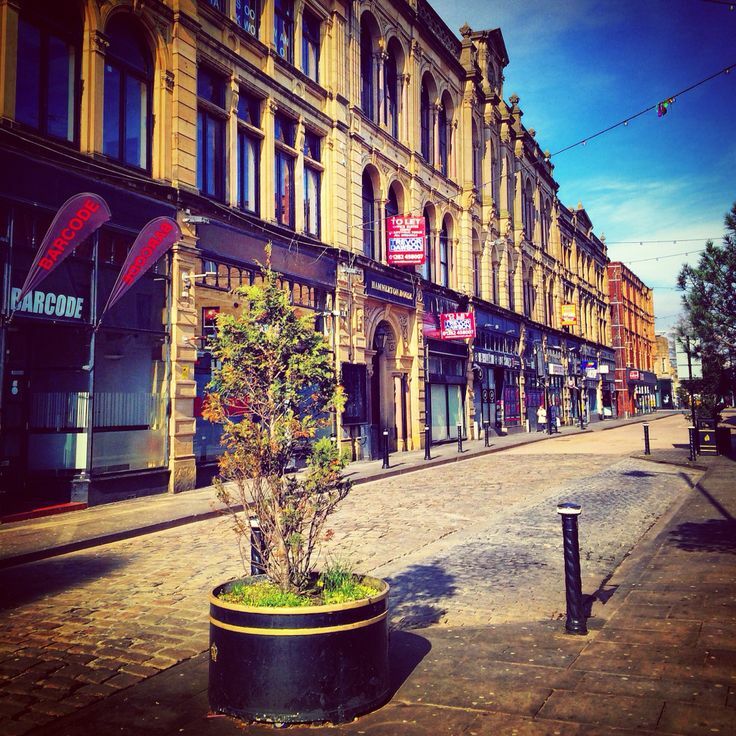 The shops aren’t terribly exciting – just your standard low-end high street shops. There is a café in the centre of the precinct, and outside the tables were packed with smokers. There was a little dog sat on its owners lap with its chin resting on the stainless steel table looking bored, whilst its owner was smoking up a fog looking equally as bored. There is an indoor market which has been built into the precinct over the main shops. It is split into two – half is like a proper indoor market with regular stalls whilst the other half is a wide open space for a temporary market. The day we went the temporary market was selling crafts. I didn’t expect this, but I was very pleased to see local crafts-people have the opportunity to sell their wares. In an age of mass produced products, there is nothing quite like something which is personal and handmade. Obviously we were here for the charity shops and there were plenty to choose from. Whilst Neil did find some vinyl records, he didn’t buy any as they were rubbish. I didn’t find much either but the overheard conversations were good. My favourite was one guy who was volunteering in a shop chattering away to his fellow volunteer. He said that he’d had seven wives and at one point had three houses. When we left the shop Neil said he’d probably had so many wives as he wouldn’t shut up. It was interesting listening to him as I could only make out one in three words. Years ago when I was at school we used to have a regular maths supply teacher from Lancashire. The maths teacher had an impenetrable Lancashire accent and I remember there was often a sea of blank faces staring at him as we simply couldn’t understand him. Listening to the guy in the shop I now realise our maths teacher was from Burnley. Just one last note about charity shops – we noticed the YMCA had new signage and had gone for an AC/DC inspired font. I quite liked it and it was certainly better than the previous logo. In fact we had to double take as I didn’t think it was a charity shop at first. One of the random things I found in Burnley was that you can do a degree in football here with Burnley Football Club. It made me laugh, but then again football is big business these days so I guess there is a market for these types of courses. There wasn’t really much else to see in Burnley, so we hit the road and headed off to nearby Clitheroe to stock up at our favourite sausage shop. Ok, so was Burnley as depressing as I thought it would be? No, but I knew that going on a sunny day would take the edge off it. Then again you can tell there has been plenty of regeneration money pumped into the town, although a few more NHS dentists wouldn’t go amiss round here. 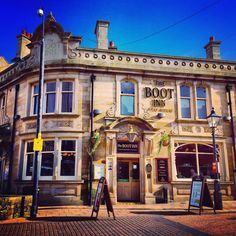 To me, Burnley is another northern town that has seen better days and a place where the kids with ambition will leave for the bright lights of Manchester or Leeds. I honestly can’t say I’ll be back in a hurry, but Burnley wasn’t as bad as I thought it would be and some good work has been done here to get it back on its feet again.